Referral program? Yes! Pays 5% of earnings on your certified referrals, and 25% of sales affiliate commission for anyone who orders transcripts through the service. Paid? Yes! Paid multiple times. Withdrawal requests arrive promptly. Initial Review and Impression: I became aware of Scribie after getting involved in some transcription on MTurk, and wanting to find another site to work at. The initial application process and review was very easy, and their style guide is short and to the point. They usually have a fairly large amount of audio files available at any given time. However, in the short time I’ve been with them, I’ve often found the audio quality isn’t great in many of the files, and sometimes the speakers have accents that are difficult for me as an American to understand. I like that there’s really no minimum for withdrawal request. There is a fee taken out of requests, but that’s waived if your withdrawal is $30.00 or more. 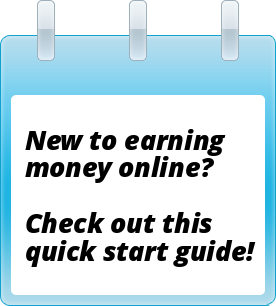 I really appreciate the referral and affiliate commission structure they offer, which should help anyone who is able to refer large numbers of people earn more. I’d definitely recommend this site if transcription is something you’re interested in. Having another site to work at keeps the small but steady payments coming though.